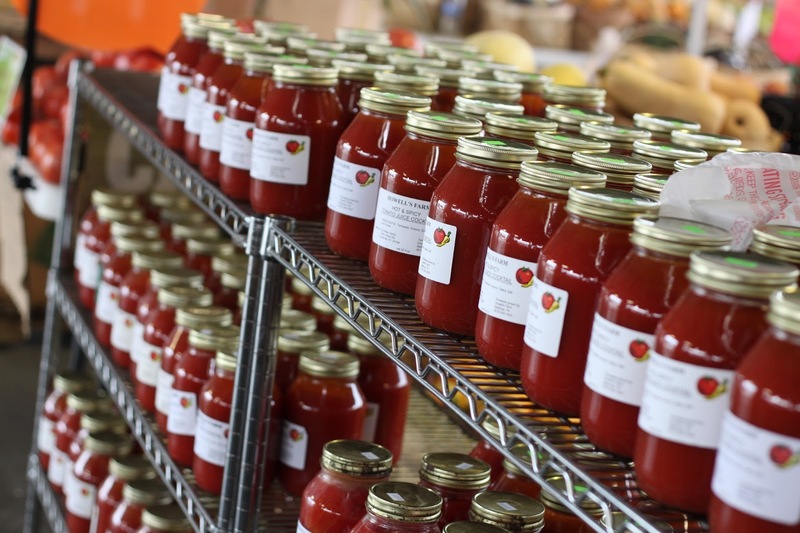 This summer, we are visiting as many farmers markets in our region as we can. After living here for nearly two years, it was time to get out and see what the area has to offer. 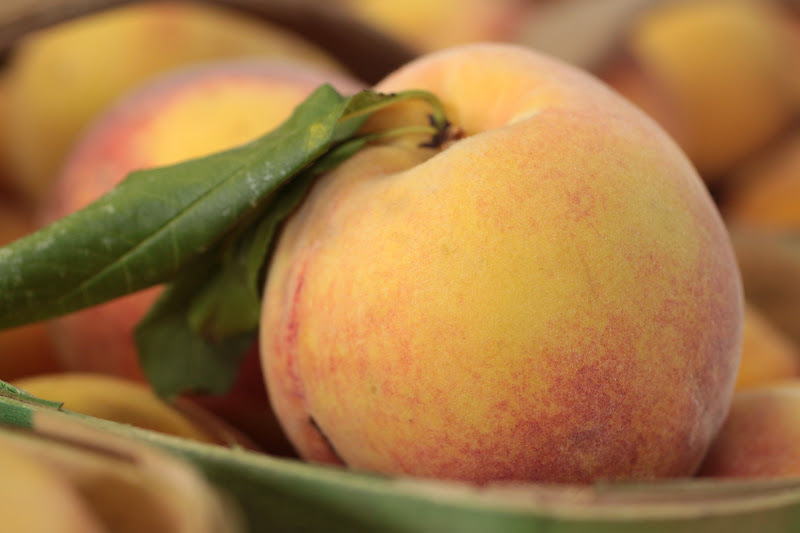 On a lovely summer morning, we drove up to Richmond to visit the South of the James Farmer’s Market to see what was in season. The market is held in Forest Hill Park and while there is parking available, street parking is also easy to find. When you enter the market from the parking area, you will notice that there is a long and narrow path of vendors lined on both sides as you walk through the market. It starts out with a few food vendors and as you walk in, the offerings run from produce, plants, hand made crafts, wine, seafood, meat, cheese and so much more than I can recall. This is another producer-only market so do not expect to find everything you are looking for-farmers aren’t magicians and they can’t make it happen if it isn’t in season! Another aspect of the producers only rule is that local artisans can also sell their work at the market and if you are looking for something unusual or simply not mass produced, you could quite possibly find it at the market too! The folks at Drumheller’s get around! They sell in Williamsburg at the market too and I love their apple cider but it’s peach season and they were selling them by the bag. When in the Chesapeake area, expect to find crab cakes-we have seen them at several markets and they always look so tempting but I am not a big fan of crab cakes for breakfast. Local cheeses are abundant in the markets. Finding Kombucha at the market is pretty easy here, we have seen it at the Charlottesville market too. Gotta love the trailer, too bad some jerk stole their generator! Fresh coffee anyone? Another great little trailer that was equipped with an espresso machine for that morning fix. Summer has arrived; berries anyone??? 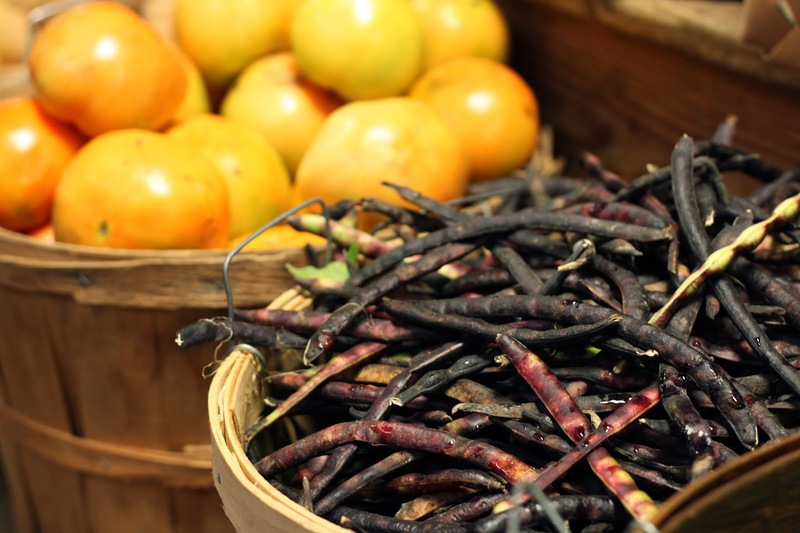 Or maybe some fresh picked beans? Although they always taste the same, I always reach for the yellow ones and the purple ones first. Not sure what variety this cauliflower is but when ours looked fuzzy like this, I thought something was wrong with it. Apparently, this variety is a bit fuzzy. Also available was everyone’s favorite fractal; Romanesco along with cheddar. And goats too! These goats weren’t for sale but they were very friendly and optimistic. They assumed that any edibles were there for the taking as this little guy found out when the goat reached over and cleaned up his snack tray! There were plenty of options for food and we had noodles for lunch. Freshly stir-fried and served with shrimp. As we walked out of the market, we saw this odd pack on a man’s back. Apparently, they test products and this was a carrying case for a cat! What a cute cat he was too! Get out there and explore the markets! 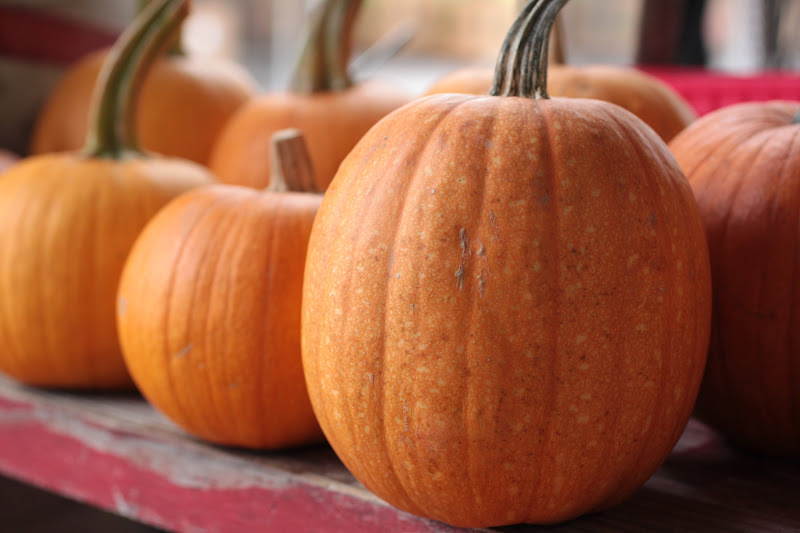 Learn about the real offerings of the season and not what the grocery store carries, it’s fresher, it tastes better and it’s a great way to spend a couple hours! My only other suggestion, skip the restrooms up at the top of the hill in the parking area-one of the worst rest room experiences we have had!!! Darry is on vacation this week and we have been traveling around the area visiting gardens and markets. We got an early start on Saturday and drove to the City Market in Charlottesville. 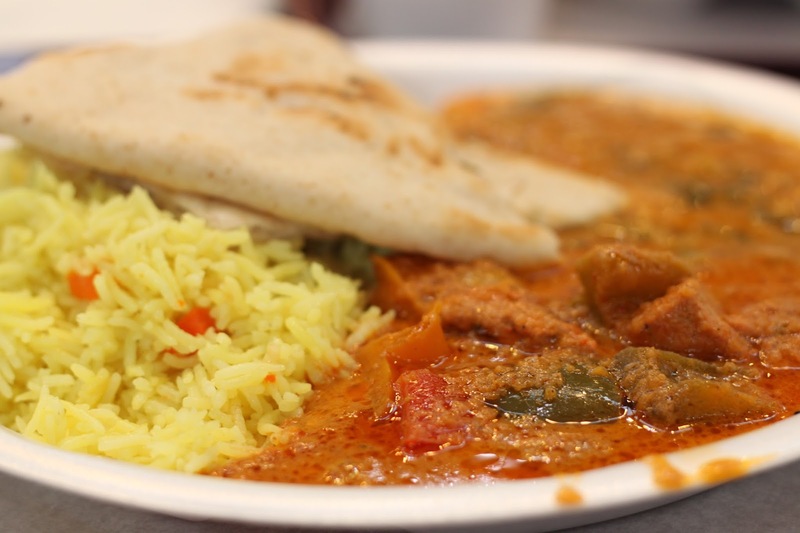 The market is located in a large parking lot a block from the historic Downtown Mall which means that if you plan accordingly, you can shop the market and then walk a block to Main Street and shop, have lunch, visit a coffee shop or have some ice cream. 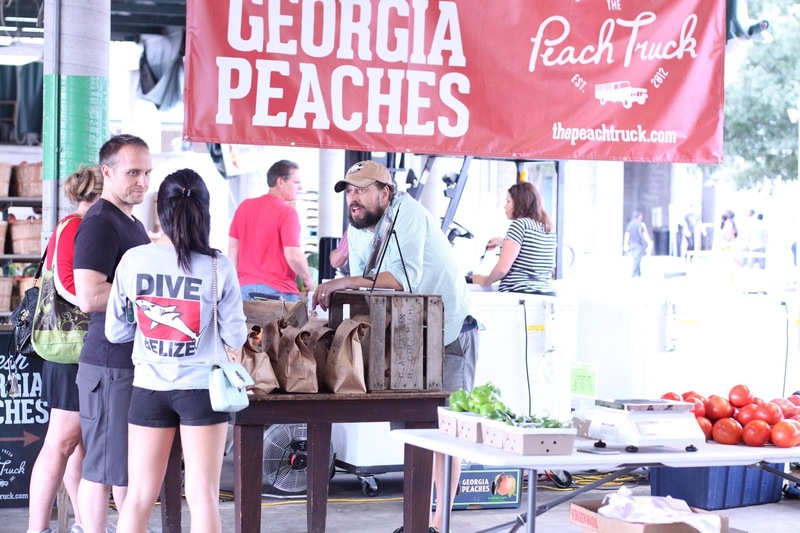 City Market is a producers only market and each week, approximately 100 vendors come to sell produce, meats, cheese, flowers, hand-crafted goods, bakery items and more. We started off with donuts, freshly fried and rolled in cinnamon sugar! So many tents, so much to see, we will have to go back as the seasons progress to see what is available. Romanesco cauliflower; I haven’t had much luck with it in the garden but looking at this basket, I must try again. 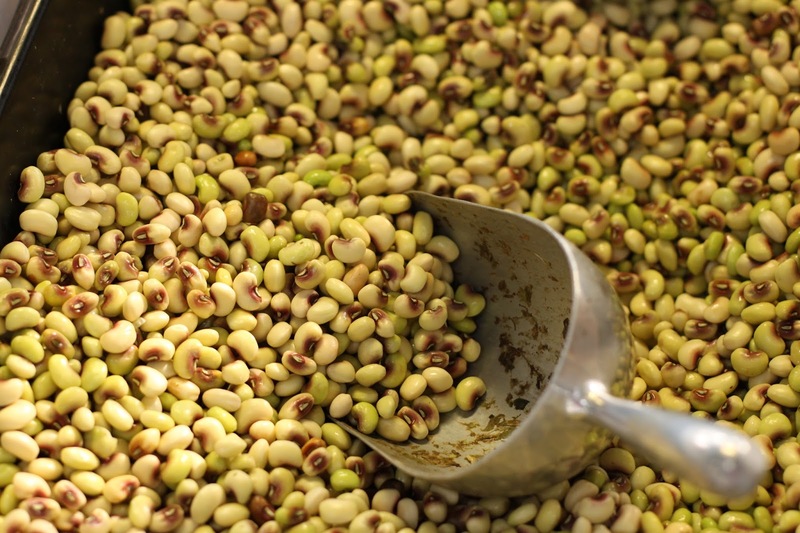 Our peas pooped out on us a while back but the climate in the Charlottesville area is a little cooler than ours here in Williamsburg and peas were still available at this market. Our carrots are not as large as these, but they are getting there! Free range chickens are pretty common but have you ever heard of free swimming ducks? We laughed at that one! Duck eggs are such a pretty blue color. Spring potatoes! It will be months before we have any to harvest. When I harvested them last fall, I missed some and now, we have potatoes growing randomly in the beds. This week, I did plant some seed potatoes and hopefully, we will have some russets to go with the reds and golds that have been sprouting in the garden. Swiss chard is so pretty to look at, I love the colors of the stems. In one booth, peppers were being flame roasted-it smelled so good! It is almost tomato season-I saw the first tomato blooms in our garden just this afternoon! What’s in season? Beets!!! Love beets and I have red and gold in the garden. 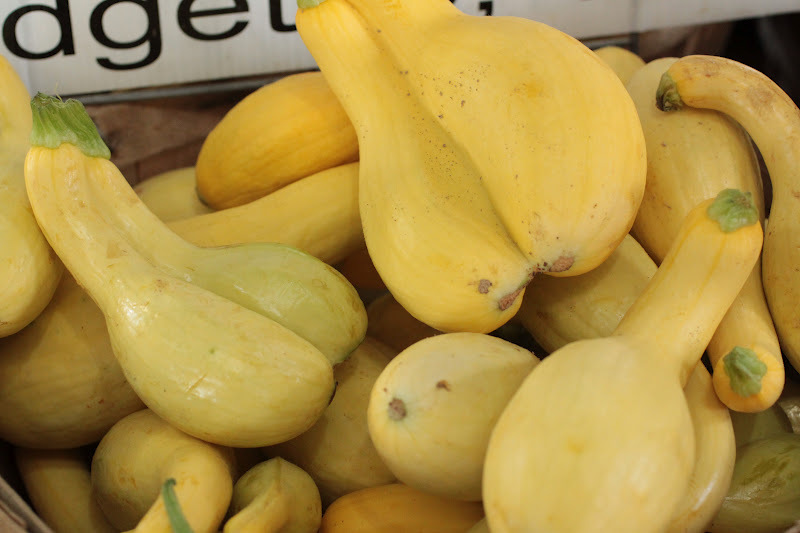 These look perfect for roasting, although, pickling them would be pretty tasty too! Lacinto Kale is another one of those plants that hasn’t been a good producer for me in the garden. Considering how much we like it, I will have to try again. If I hadn’t started off our visit with a donut, I might have had an almond croissant! Love the stenciled loaves, they were eye catching and very tempting! Every where we went, there was food to eat. These ladies were cooking crab cakes. The bagel ladies had sandwiches on the grill and bagels to take and bake at home. Feel like tacos? In this booth, they were pressing fresh tortillas and making tamales. If only the line wasn’t 20 people deep, we might have had tamal for lunch. Remember those donuts I mentioned? In this booth, they fry them and then coat them with a sugar and cinnamon mix. 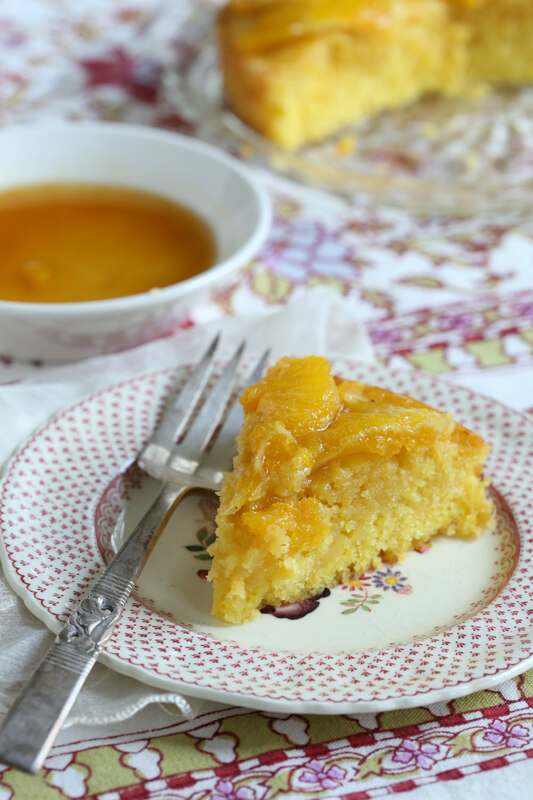 The batter gets poured into a hopper and it is portioned and dropped into the hot oil. Feel like an omelet? Chef Tony has your back! He was cooking them to order on a grill. We decided to have some fresh Filipino style noodles. Thin rice noodles with chicken and vegetables. We haven’t had much Filipino food since we left San Francisco and it was a nice change from the usual Asian fare we find here in Williamsburg. Fear not, they are also a green market! Food scraps can be composted and recyclables are collected separately from the trash. We enjoyed the trip and look forward to going back! As spring comes to an end, our garden is beginning to provide us with more than we can eat. 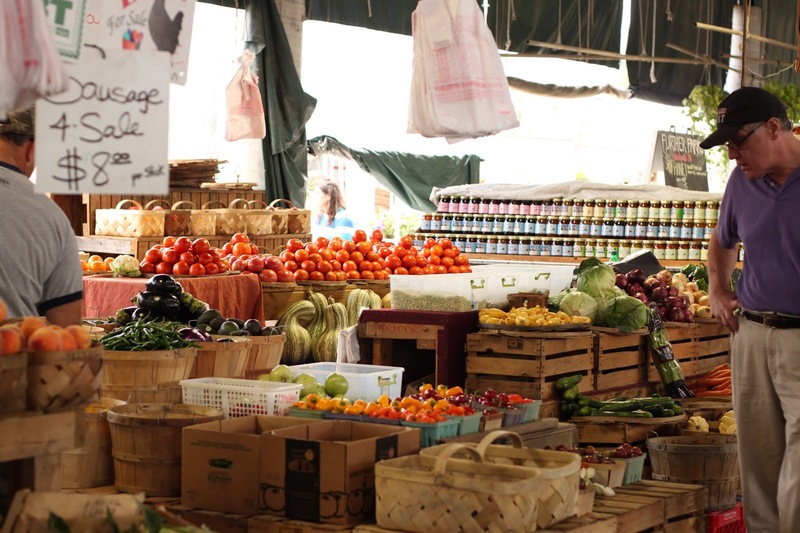 Because we have more freshly picked vegetables than we can eat, we very rarely go to the farmers market to shop. 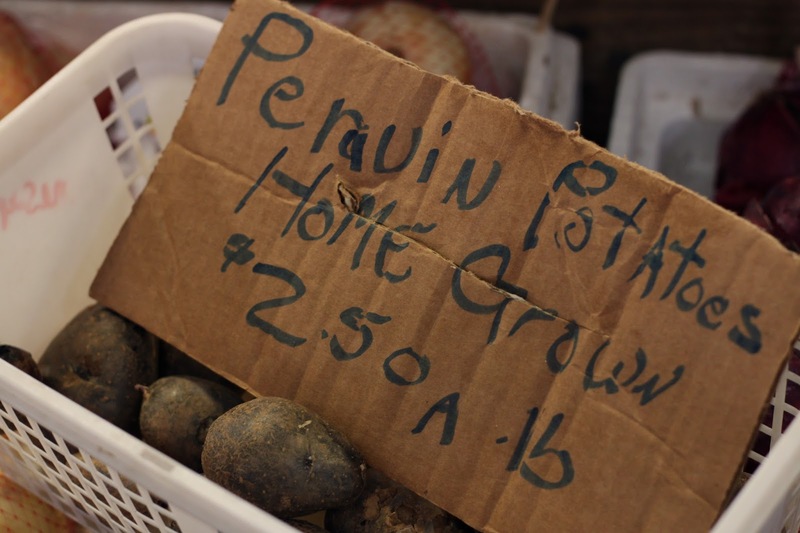 This past weekend, we ventured down to Merchant’s Square and took a look at what the farmers had to offer. There was no shortage of plants either; we came home with a Joe Pye Weed for our new bed in the front garden. Onions and radishes were also plentiful. Since I discovered roasted radishes, I very rarely eat them raw but we did make some wonderful kimchi with them. Each week, the market has a core group of vendors that stay the same along with a group that come less frequently. This week, a group of women from the Williamsburg Weavers Guild was at the market and they were demonstrating techniques for weaving and spinning yarn. A table top spinner being used to spin cotton into yarn. It’s all about the tension, keeping it taught creates a fine thread. Not everyone uses a wheel to spin, some do it by hand with a drop spinner. The color of this yarn is beautiful, it looks fluffy too! She worked at this yarn the whole time we were there. The weavers had Darry’s attention and he asked many questions about the process. This weaver had completed all of the work you see there in a rather short time, in between demonstrating the technique and answering questions. After we asked many questions and chatted with the ladies for a while, we headed back to the car. Not far from where we parked, Darry showed me a patch of King Stropharia mushrooms, a prized edible. We have a patch of them in our garden too but it is not nearly as successful as this patch. There were dozens of them and since we did not know anything about the mulch they were growing in, we did not pick any. For now, we will have to wait for our patch to grow and multiply. 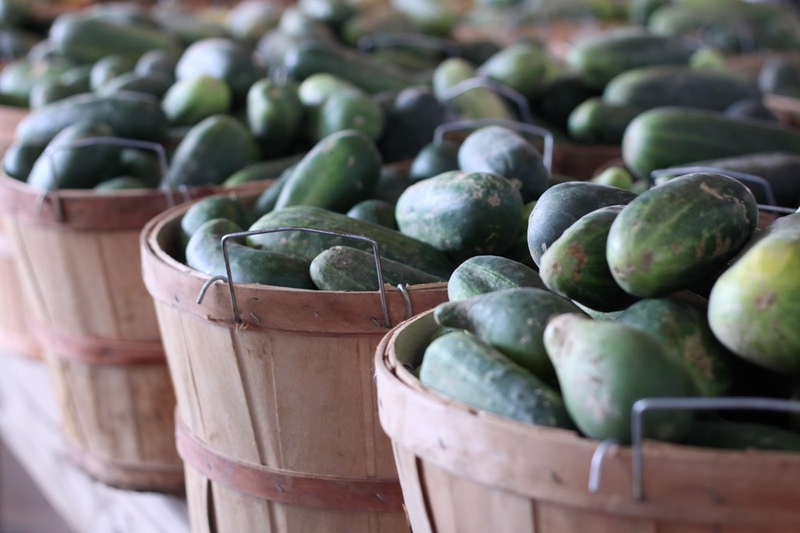 To see the schedule of vendors for the Williamsburg Farmer’s Market, visit the website. Visiting the Williamsburg Farmers Market has become a favorite thing of mine. Every Saturday morning I head to the Historic District to walk the market held in Merchants Square and it is such a beautiful setting. It truly feels like a community event, almost like a neighborhood block party held in the middle of the colonial village. 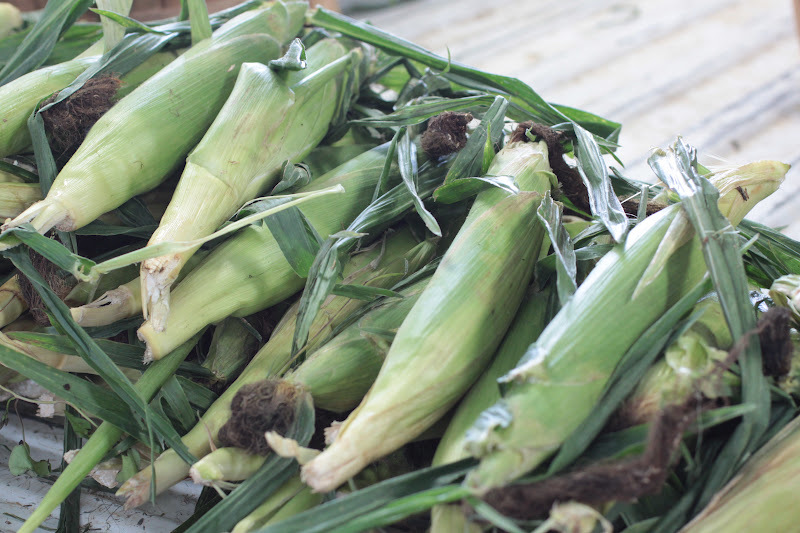 The farmers and producers selling at the market each week are usually the same but sometimes, they skip a week so be sure to check the website as it is updated weekly. There is nothing worse than going to a market and discovering that the venders are simply reselling produce they bought. This market is a producers only market and all venders are subject to management approval before they can sell at the market. Honestly, this is the perfect way to know your food. Want to know about the vegetables or seafood, ask the person selling it; they work for the farm and can tell you just about anything you might need to know. 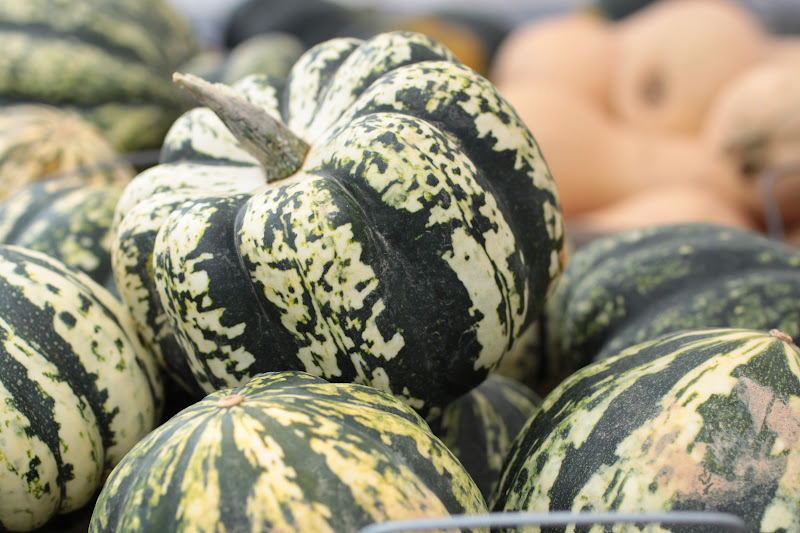 It wouldn’t be fall without hard squash; Cushaw and Blue Hubbards as well as Butternut and Acorn. Not only do you get the vegetables freshly picked, you get the name of the variety. Amazing sheep milk cheeses from Everona Dairy. 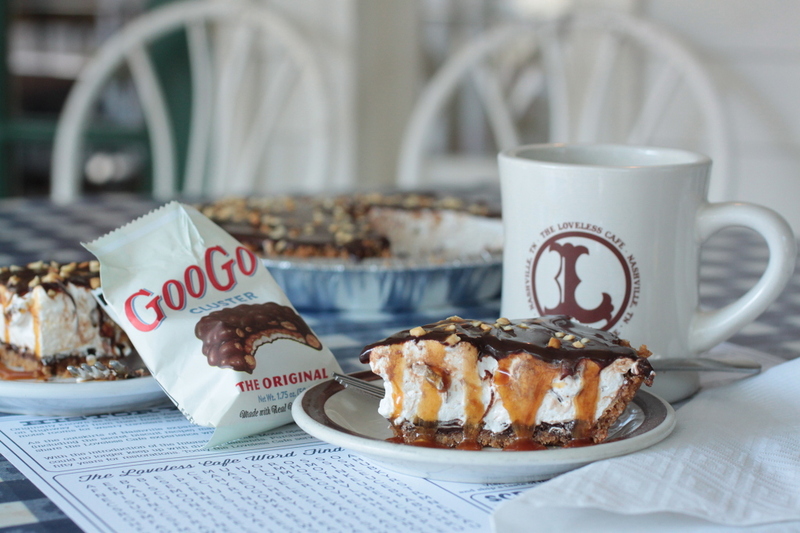 The folks at Bacon’s Castle Supply love to talk about their peanut farm. We asked about the bouquet hanging and got a lesson on how the plants produce peanuts. 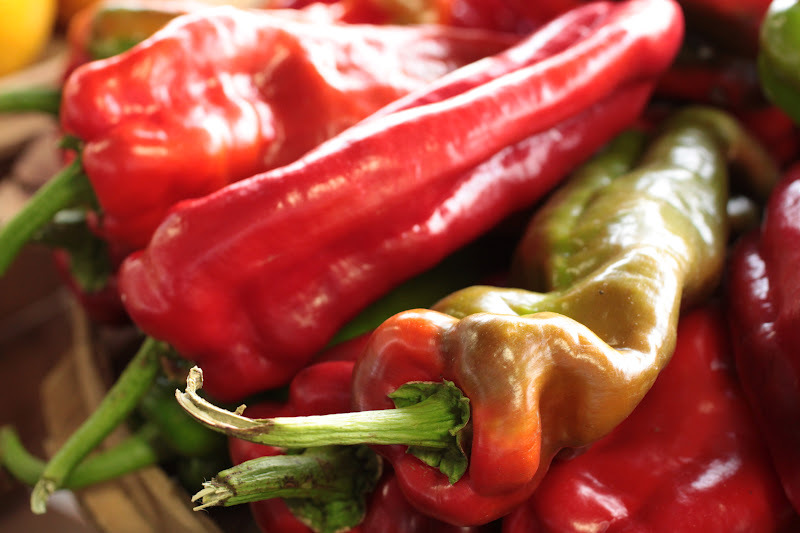 Peppers love the hot, dry weather of late summer and early fall and are plentiful at the market. Being so close to the Chesapeake Bay means oysters are plentiful too and these are Crassostrea virginica the native species. King Corrotoman Oysters brings them in fresh but be sure to check the schedule, they do not come every week. Everywhere you go, signs of fall. Love the use of persimmons in this bouquet. Radishes are a quick crop to produce and it is easy to see why farmers would offer them for sale; they are so colorful. Did you know that radishes are just as good roasted as they are raw and the greens are pretty tasty when cooked too! Click here for my recipe for roasted radishes and wilted greens. 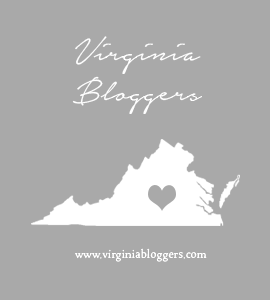 This post is participating in the Virginia Bloggers Friday Favorites linkup. Be sure to check out the links posted by other members and visitors to the website. this week, i am posting from colonial williamsburg, the area i will be calling home in the very near future. hard to believe but after a quick 19 years, darry and i have sold the house and are relocating to williamsburg for his new position. as part of that transition, i went out there this week to begin the search for a place to live. part of that process included getting to know the area. sure, i visited colonial williamsburg as a kid but this is the first time i have done so as an adult. my father will be proud to know that this time, i truly appreciate the historical aspect of the city and i am looking forward to getting to know all i can about this beautiful place. 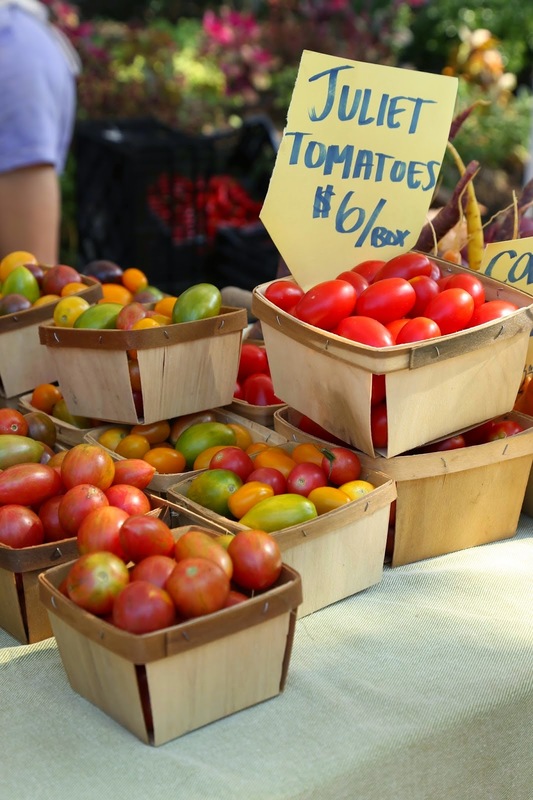 during the summer, the historical merchants square is home to a weekly farmers market. 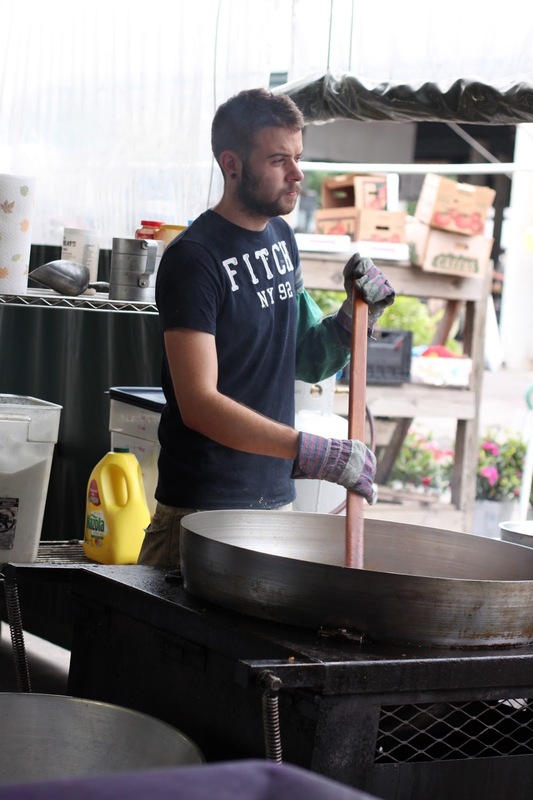 each saturday morning, the street is filled with vendor booths stocked with products ranging from flowers, baked goods, chocolates and produce to meats, cheeses and honey. if you cannot find it here, it just isn’t in season! be sure to check out the website as it lists the vendors who will be in attendance each week-yes the website is updated weekly, so you can plan your trip in advance if there is a specific item you would like to purchase. darry and i spent the morning wandering from booth to booth while listening to live music courtesy of a local group of what we assumed were very talented high school students. the best part about the market, you can purchase wooden nickels, tokens if you will, for $5 each and then spend them all season long at the market-a great idea if you want to stick to a budget or if you happen to pop in at the last minute and are short on cash. these tokens spend like cash and if your total is less than $5, they will give you change in cash. 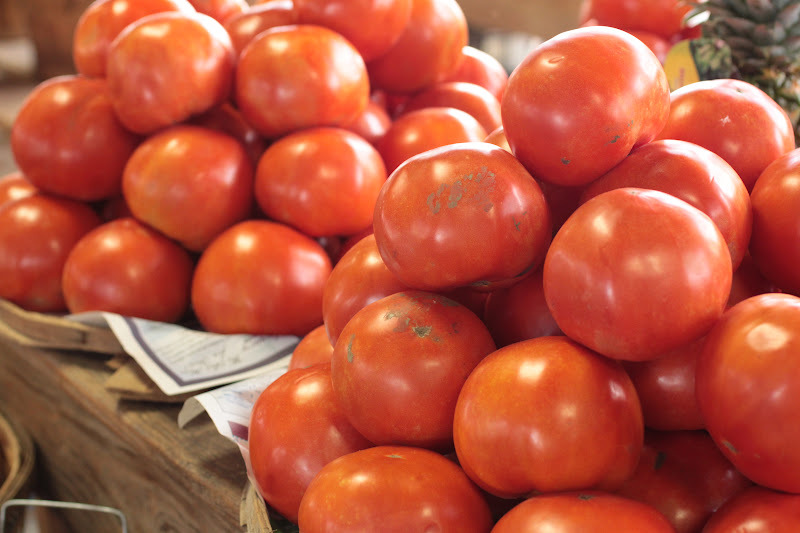 having lived in tennessee for a while now, i was a little surprised to see such a small variety of tomatoes. it seems that the folks in nashville are much more tomato crazy-must be the tomato sandwich that drives it. 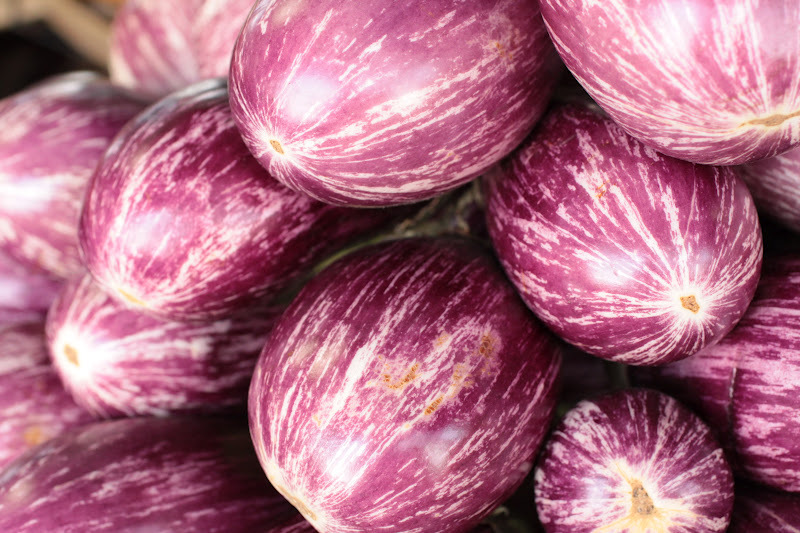 only one vendor had cherokee purples-a tomato that darry is completely hooked on, and rightly so! we settled on a basket of mixed tomatoes to snack on. i love fresh flowers and was amazed at how many of these bouquets had giant marigolds in them. looks like i will have to plant the monster sized ones in my new garden so that i can put them in bouquets too. to see them here, look at the blue bucket in the bottom left corner, that was mostly marigolds. nothing like fresh berries from the market-just picked and juicy! apples are coming into season here. we were going to snap up a few honey crisps but as we approached the booth, they were wiping them off the list because they had already sold out…maybe next time! this sign made me laugh-embrace new cultures…did someone tell them we are moving here? trust me, we may be moving a mere 660 miles but it is a whole new world and a completely different place and culture! 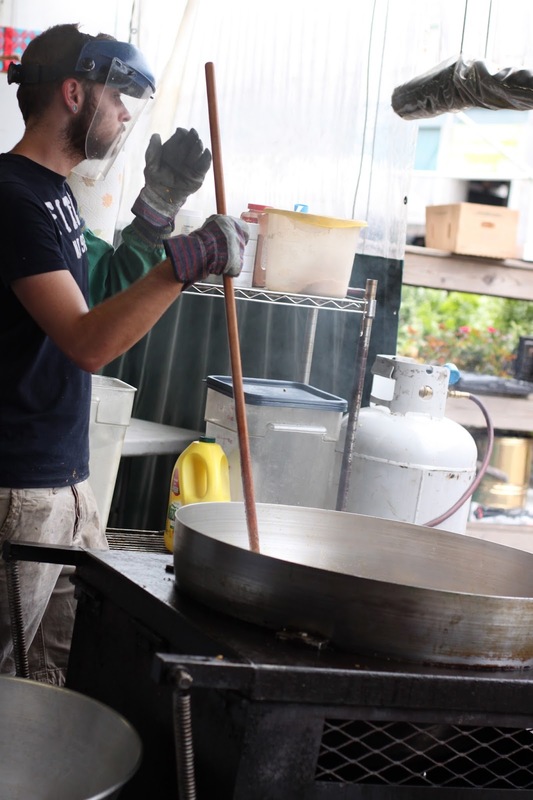 did you know that the virginia peninsula which is where williamsburg is located, meets the chesapeake bay making fresh blue crabs and mollusks a truly local product. the virginia seafood booth in the market sells cooked crabs (without the claws) for a dollar a piece. 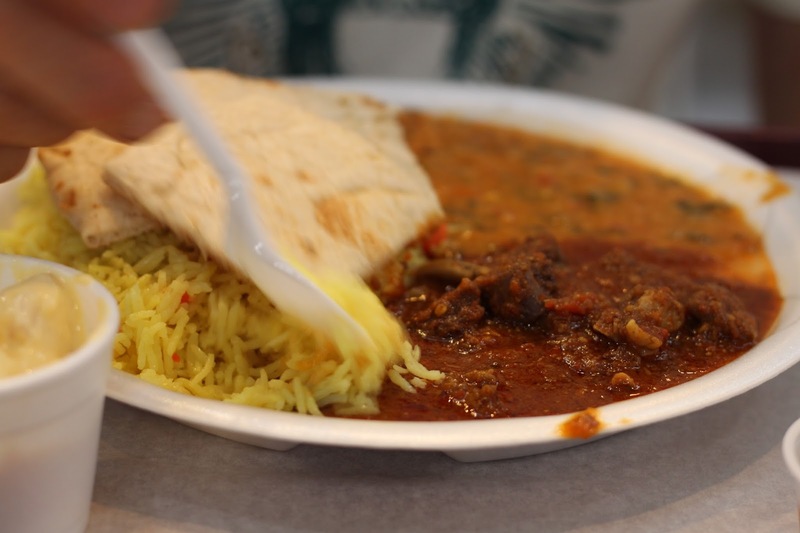 while that may seem like a bit of a rip off, the majority of the meat is in the body and as we stood there looking into the cooler, darry’s eyes lit up; he had visions of an inexpensive source for crab shells to make bisque and that totally works for me! and while i am truly sad to be leaving friends, gardens(as well as gardeners) and fellow food bloggers behind, i am comforted to know that my suspicions are correct: pie fixes everything! when we first moved to nashville 17 years ago, we went to the farmers market. it was a far cry from the ones we had been visiting in san francisco bay area. there was a definite lack of exotic produce such as the plethora of asian herbs and produce we were accustomed to. never mind finding anything organic either; it just wasn’t there. what we were thrilled with was how a small farmer could pull his truck into a stall and sell what he had picked that morning. maybe it was silver queen corn or watermelons or turnip greens or some other seasonal vegetable. it really didn’t matter to us as it was affordable and it was fresh. then, sadly, local politics and various nonsense got in the way and the farmers market became something of a joke. 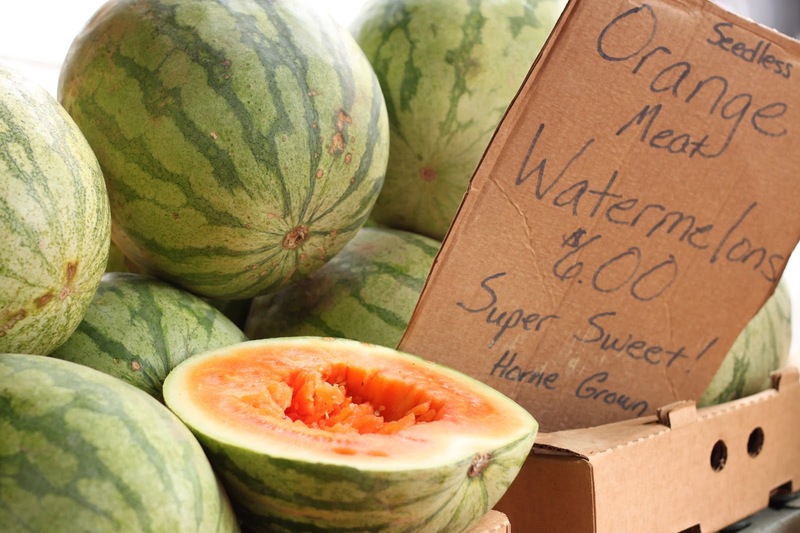 too many of the vendors there were simply reselling produce they had purchased from wholesale produce houses. it bordered on ridiculous; bananas, oranges and pineapples? honestly, were we supposed to believe they were locally grown and fresh? 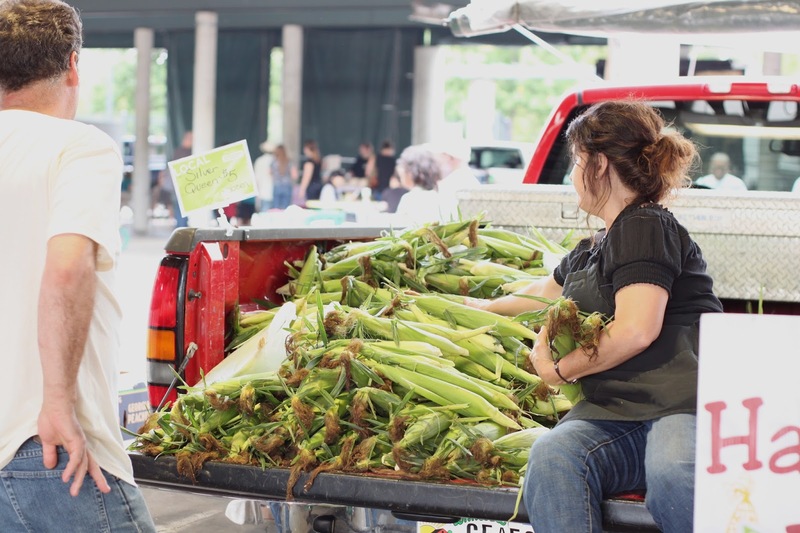 with a resurgence in all things local and some management changes for the better, the nashville farmer’s market now looks much more like a real farmers market. sure, some of the vendors still resell (wholesale purchased) produce. but many more are squeezing in with fresh, locally grown produce. on a recent trip downtown, i lugged the camera bag with me and set out to see what i could find. seventeen years later and fresh picked corn in the bed of a pickup truck is still a magnet for both myself and my husband. this was labelled silver king, a white corn. when it comes to hot peppers, i am a bit of a wuss. 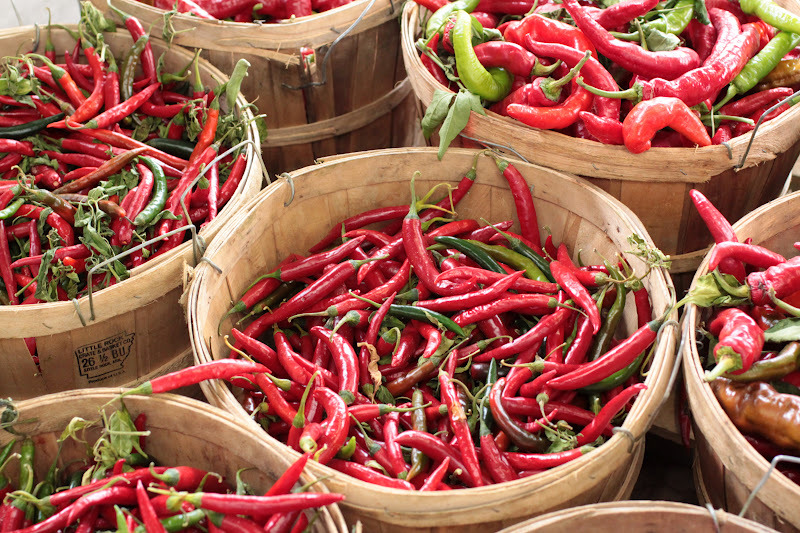 however, that does not stop me from growing my own or making my own hot sauce. 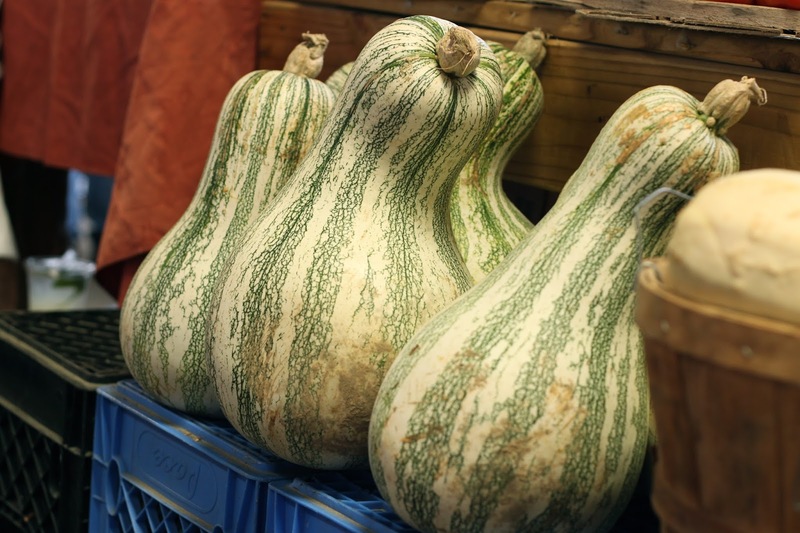 a sure sign that fall is approaching; hard squash of all kinds. 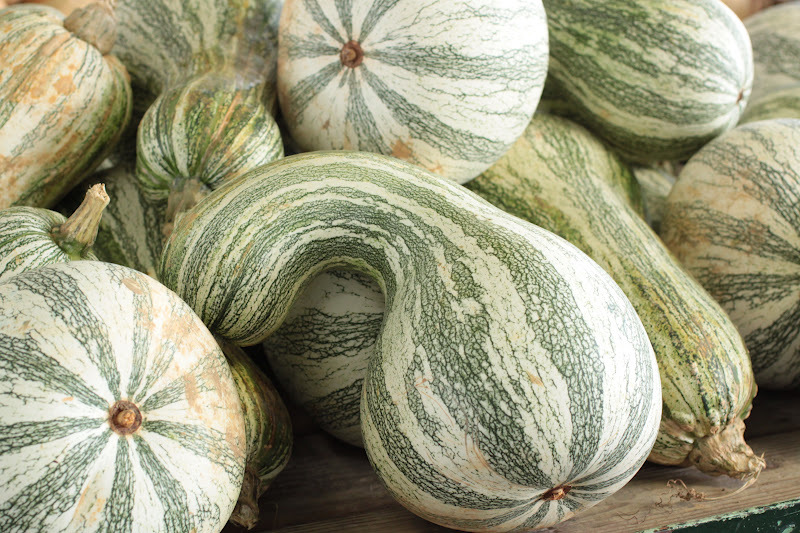 we had several dumpling squash vines in our garden and we only picked 3 before the vines gave up. another tennessee delicacy, bradley tomatoes. eggplants-don’t you just love the pattern on the skin? somebody fire up the grill! more peppers, not sure what kind, i forgot to look at the sign! 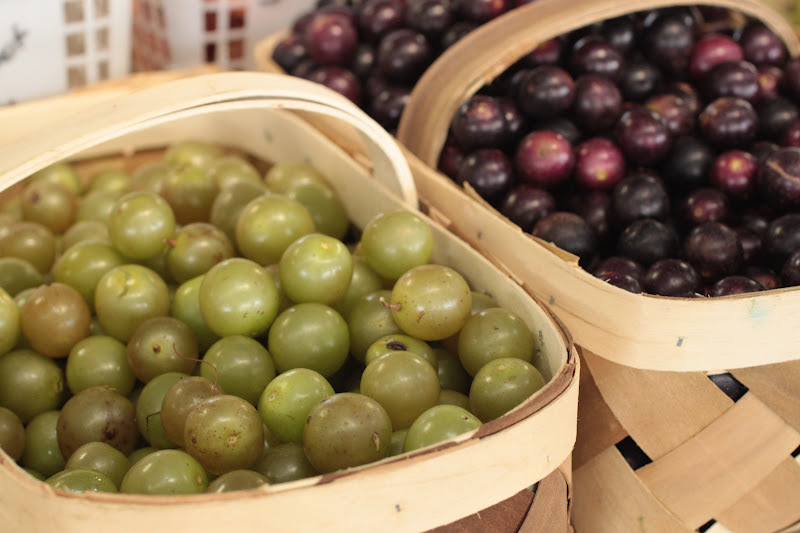 before moving to tennesee, i had never heard of scuppernongs or muscadine grapes. they are native to the area and make great jelly and wine. the skins are not edible and they have a lot of seeds making it necessary to cook them, strain them to remove the skins and seeds and then cook them again to make jelly or pie with the pulp and juice. time has flown and i am just not ready to shift over to fall. 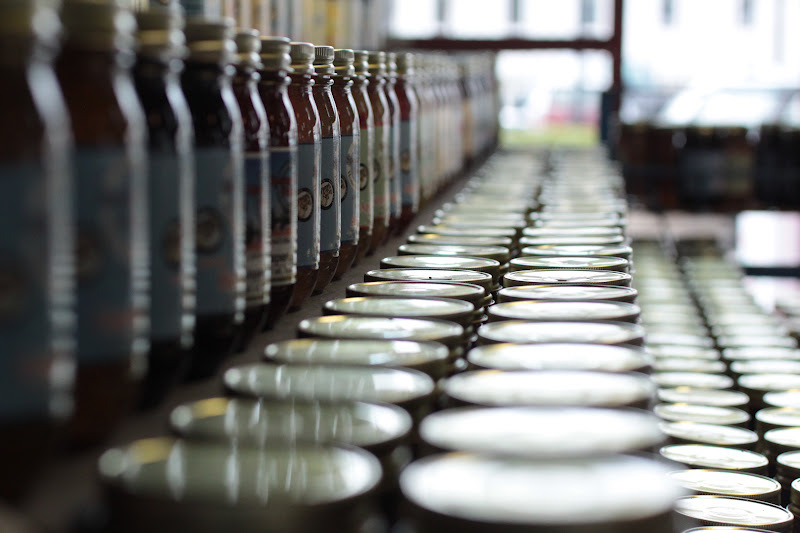 lined up on the shelves like soldiers, i found myself mesmerized by the pattern the perfectly straight rows of jars made. 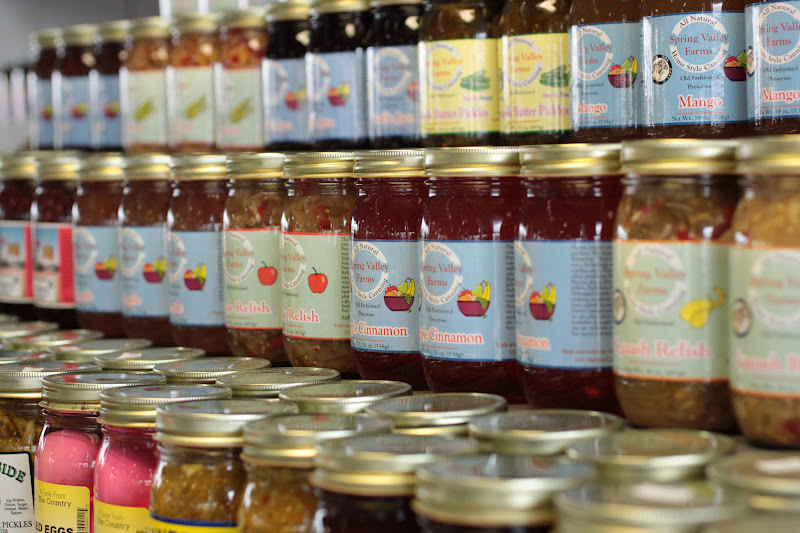 the selection of jams, jellies, preserves and butters was never ending. it would have been very easy to pick up 3 or 4 or 12 different ones. and as always, there is always that one guy who has to make a spectacle of himself. amidst all of the jars of relish, preserves and what not stood two jars of neon pink pickled eggs. why pink? 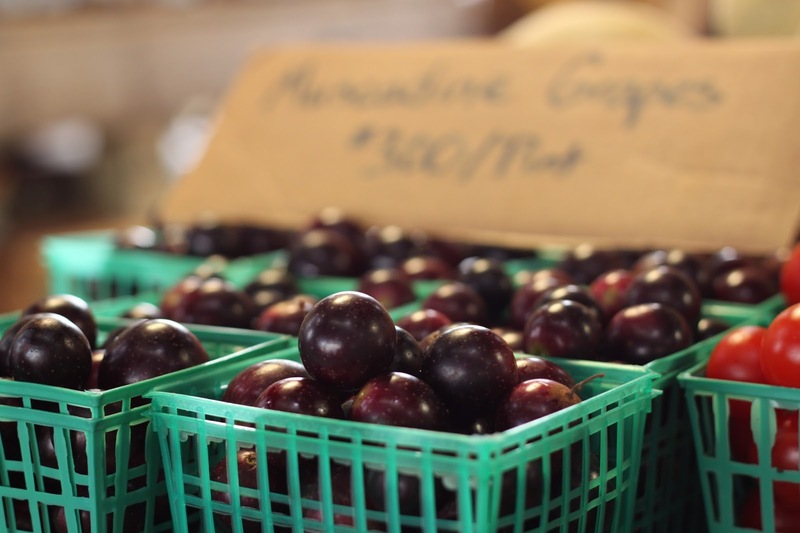 keep it local, visit a farmers market near you and keep a farmer in business.